Is your vacation dream - Medieval architecture, local villages, beautiful scenery and sapphire waters? 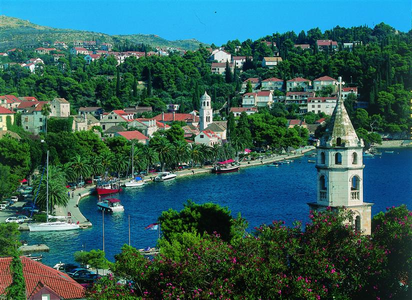 Then discover Croatia from North to South with a Single Travel Group. Get up close to waterfalls in Plitvice, sail the blue waters in Split and walk the walls in Dubrovnik. Experience the Adriatic, while making friends and memories for life. On arrival at the Zagreb International Airport (ZAG) you will be met by our representative and transferred to the Hotel Dubrovnik, located at Zagreb’s main city square (Trg Ban J. Jelačić ). 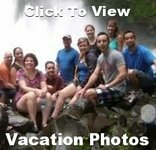 If you are coming from our Rome Florence Venice trip enjoy a 4 hour drive. 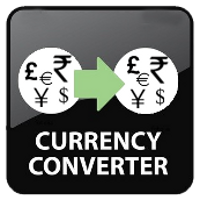 Our hotel is just a short walk to some of the most important cultural, government and business institutions, the main shopping area, open-air market, lively cafes and taverns, historical upper town, parks and promenades. At 4:00pm meet our tour guide for a walk around the city. Discover the most beautiful corners and attractions of the city center including: Zrinjevac Green horseshoe, Ban Jelacic Square, St. Mark’s Church and the Cathedral, Dolac Market, The Stone Gate, The Funicular, Croatian Parliament. Tonight enjoy our Welcome Dinner at a local restaurant. Today we will travel to Slovenia's to discover the magical Lake Bled and the charming capital Ljubljana. 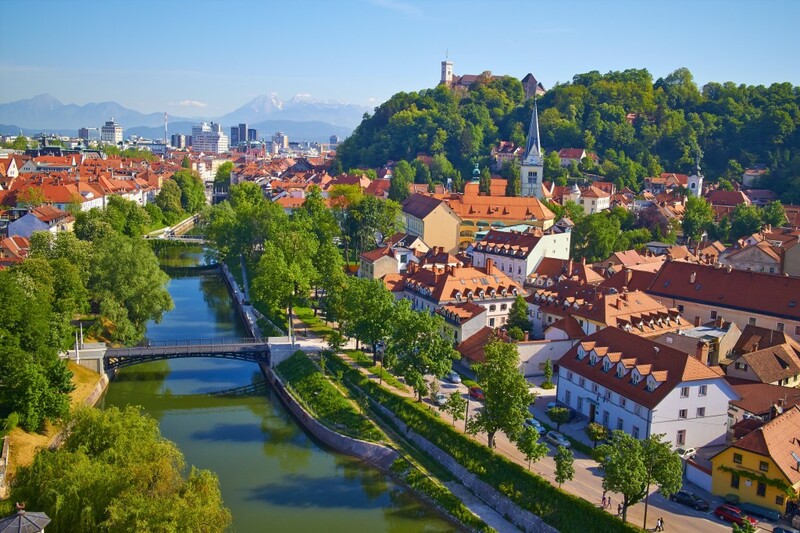 Stroll along the Ljubljanica River and Old Town and hear all stories of Ljubljanica's fascinating history, from the time of Jason and the Argonauts, the Protestant reformation and Cultural Revolution to today. We'll see a quirky cement bridge decorated with dragons and board a glassed-in funicular railway up to the Ljubljana Castle, a medieval fortress. Enjoy the spectacular views across the city. Then we continue to the Alpine region, where on the banks of the mountain lake, beneath the peaks of the Julian Alps lies the charming little town of Bled. This Alpine lake has the only island in Slovenia and has been a world-renowned paradise for centuries.The most beautiful view of the lake, its island, and the surrounding peaks is from the castle towering over the lake on a cliff. After breakfast we travel to the Plitvice Lakes National Park, a fairy tale world of secrets and transformations, a forest reserve in central Croatia known for its chain of 16 terraced lakes, joined by waterfalls, that extend into a limestone canyon. Walkways and hiking trails wind around and across the water, and an electric boat links the 12 upper and 4 lower lakes. The latter are the site of Veliki Slap, a 255 ft-high waterfall. We begin our exploration at the lower lakes and the magnificent Large Waterfall, then we follow the path that leads across the lakes and waterfalls. Our exploration continues on a boat ride across Lake Kozjak to reach the upper lakes and even more waterfalls. From the top point of the upper lakes we catch the electric train to the park's exit. Tonight enjoy dinner at our lodge, the Ethno Houses Plitvica Selo. Delight in the stunning views as we drive to Split, a town on the Dalmatian Coast known for its beaches and the fortress-like complex. 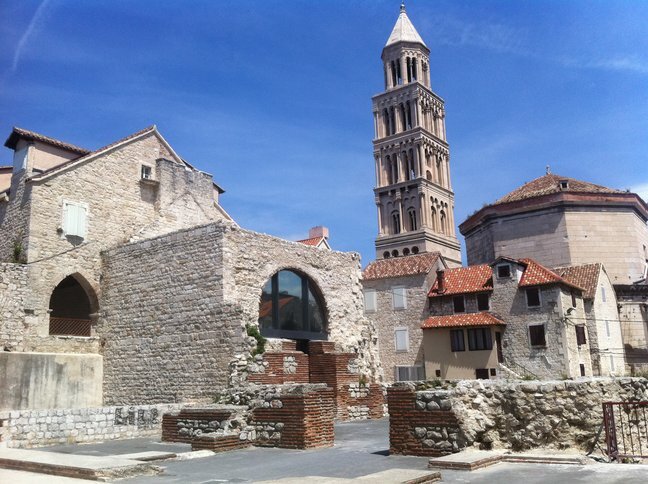 At it's center is the Diocletian's Palace, erected in the 4th century by the Roman emperor. Today we can still see the outlines of the original palace, with the Peristyle, a vestibule, Temple of Jupiter, original walls and doors. 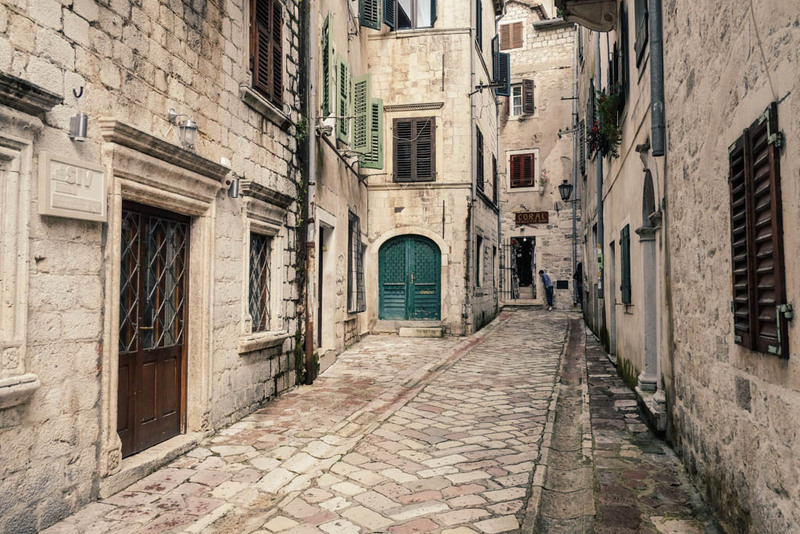 Listen to the stories of Split's 1700 years of history on our guided walking tour and visit the cellars of the Dicletian's Palace, which is a mirror image of the emperor's residence above. Walk inside the St Dulmus cathedral, one of the best-preserved ancient Roman buildings standing today and originally built as a mausoleum. This morning, watch Split disappear as we speed away to the Blue Lagoon and the Old Town of Trogir. 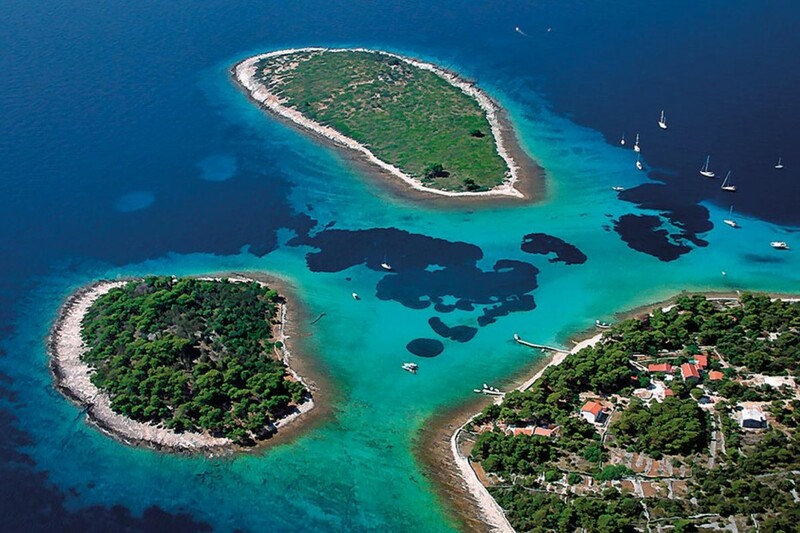 We will be whisked away by speedboat to the secluded waters of the lagoon, tucked away between three islets — the Krknjaši islands and Drvenik Island — in the Adriatic Sea, making it a postcard-perfect slice of paradise. On arrival, use the provided snorkeling gear to explore marine life below the vivid, turquoise waters that gently wash over a seabed of white sand. After a leisurely swim soak up the sun on the boat deck before a short cruise to explore the small medieval town of Trogir, known for its mix of Renaissance, baroque and Romanesque buildings. Enjoy free time to see the elegant bell tower and other attractions. After we return to Split, the rest of day is yours to explore, shop or relax. Today is a busy day as we travel south towards Dubrovnik, stopping at Ston, once the border town of the Dubrovnik Republic. The defensive fortification walls, constructed between the 14th and 15th century, extending over 3.7 miles in length and measuring 16-32 feet in height are still visible. It is noteworthy to mention that Ston walls are the second longest defensive fortification walls in the world, second only to the Great Wall of China. 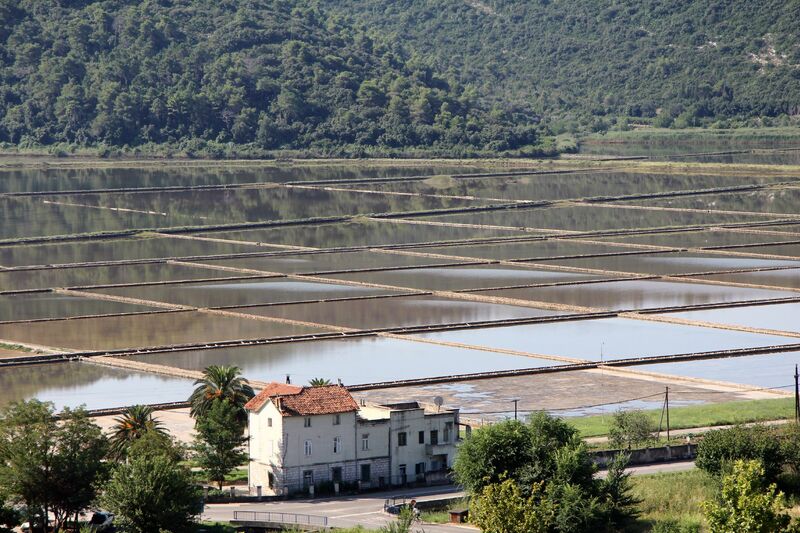 Ston is also famous for its oyster production and the 2000-years old salt works that have produced sea salt for centuries. We will visit the Ston Salt Pans, the oldest in Europe are said to have been in existence during Roman times, and have continued to run in the same way, undisturbed till present day. Be sure to pick up a packet to take home. Then enjoy a panoramic ride on a beautiful wooden boat through the Bay of Mali Ston to the oyster beds, where the oysters are taken out of the sea in front of us. Not only will we have the opportunity to learn about oyster production but also to taste the oysters and local wine in these amazing surroundings. Our drive continues to Dubrovnik where we will check-in to our centrally located hotel. 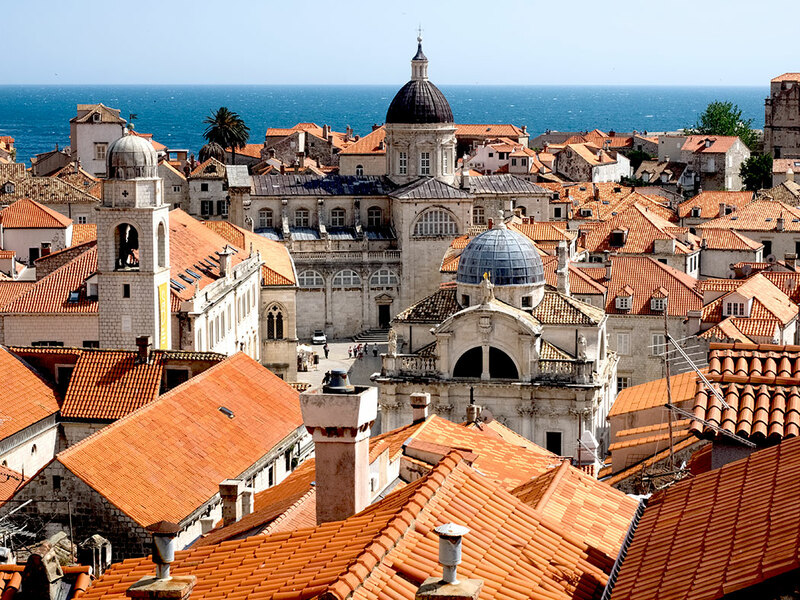 Learn why Dubrovnik is called the ‘Pearl of the Adriatic’ on our half day guided tour of Old Town and its thick, centuries old city walls. Stroll by the monasteries and churches, the palaces and the burgher houses and hear the fascinating stories of 1,400 years of history. Visit the Cultural Historical Museum, located in the Rectors Palace and see the court room, dungeon and a scribes office plus examples of furniture, portraits, uniforms, and an inventory from the Domus Christi pharmacy, as well as various weapons. Let's ascend to the top of the 1.2 miles-long well preserved city walls for a great view of the city and the sea. Slowly walk around the imposing 12th-century walls as our guide tells us the stories of the invasions and invaders the walls have stopped. Today we travel south through the valley of Konavle to the Montenegrin border, where our Montenegro guide awaits us. Enjoy the views of Boka Kotorska bay, a magnificent contrast of blue sea and steep mountains frames this natural fjord as we drive towards Perast, a sea merchant town of eras past. In front of Persat, we will boat out to the islet, Our Lady of the Rocks, where legend has it that "The Rocks" was made by seamen laying a rock in the Bay upon a successful voyage. There’s only one building on the island, a Roman Catholic Church built in 1632 which contains 68 paintings. Free time back in Persat for lunch and shopping before we head to Kotor, a fortified town on the Adriatic coast. The Old City of Kotor is a well preserved urban center typical of the late Middle Ages, built between the 12th and 14th century. Stroll the winding streets and squares of Kotor's medieval old town which has several Romanesque churches, and visit the Cathedral St Triphon with our guide. The symbol of Kotor is dedicated to its patron, Saint Tryphon and was built in 1166 upon the remains of an earlier temple from the 11th century. Tonight we meet for our Farewell Dinner at a local restaurant. Say "Doviđenjato" all your new friends as our Croatia vacation ends and you are transferred to the Dubrovnik Čilipi Airport airport for your return flight home.